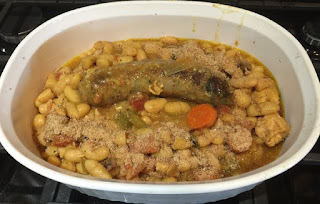 Cassoulet (French pronunciation: ​[ka.su.lɛ], from Occitan caçolet [kasuˈlet]) is a rich, slow-cooked casserole originating in the south of France, containing white beans (haricots blancs) and meat (typically bacon, sausages, duck or chicken and sometimes mutton). The dish is named after its traditional cooking vessel, the cassole, a deep, round, earthenware pot. 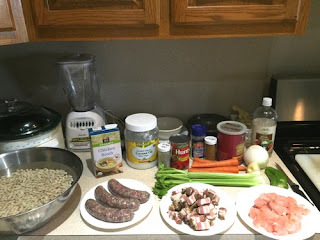 The region once known as the province of Languedoc is the traditional homeland of cassoulet, especially the towns of Carcassonne and Castelnaudary (near Revel), the town which claims to be where the dish originated. 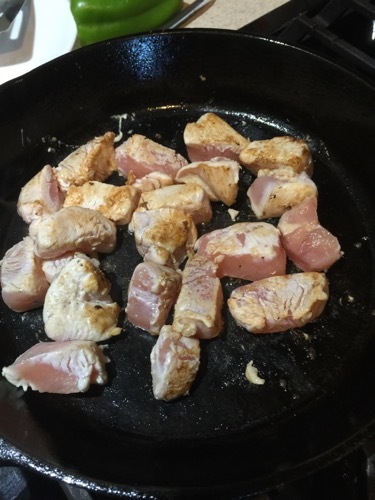 Chicken Breast (1 cut in 1-2 inches pieces) if no duck confit is available. 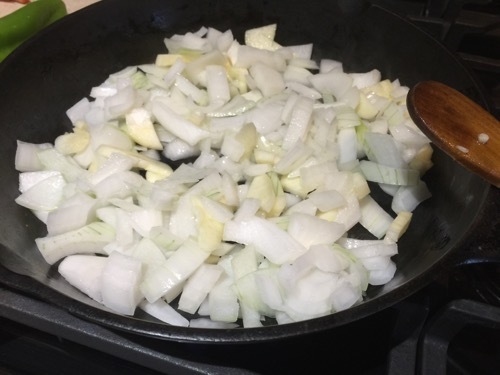 In a skillet Onion and Garlic with 1 table spoon of coconut oil until transparent (do not brown). 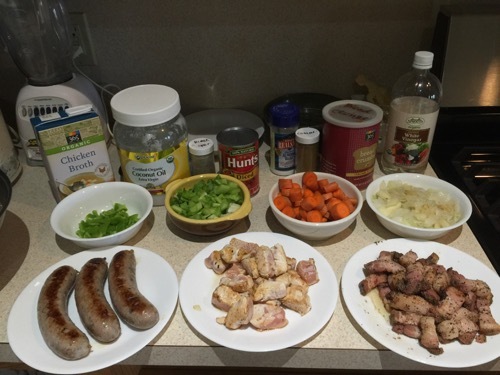 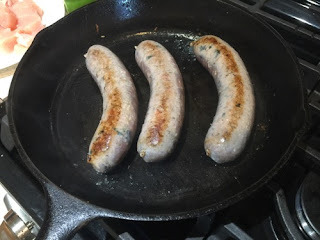 In a skillet brown the lamb sausages with 1 table spoons of coconut oil. In a skillet brown the chicken pieces with 1 table spoon of coconut oil. 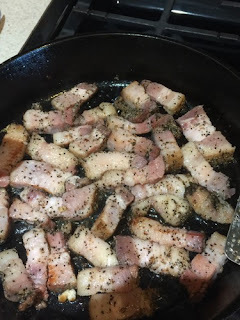 In the skillet where you brown the chicken cook lightly the bacon pieces and remove the liquid fat. 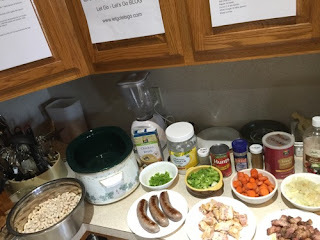 Mix all the ingredients (except salt and bread crumbs) in a crok-pot (or slow cooker) and add water if necessary to cover the beans. 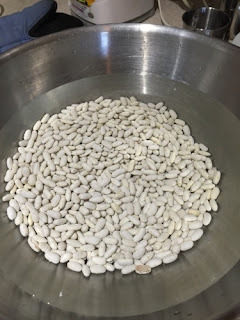 Let simmer for 3-4 hours at high, then 6 hours at low (or until the beans are tender). Before serving spread bread crumbs on the top and broil for few minutes.